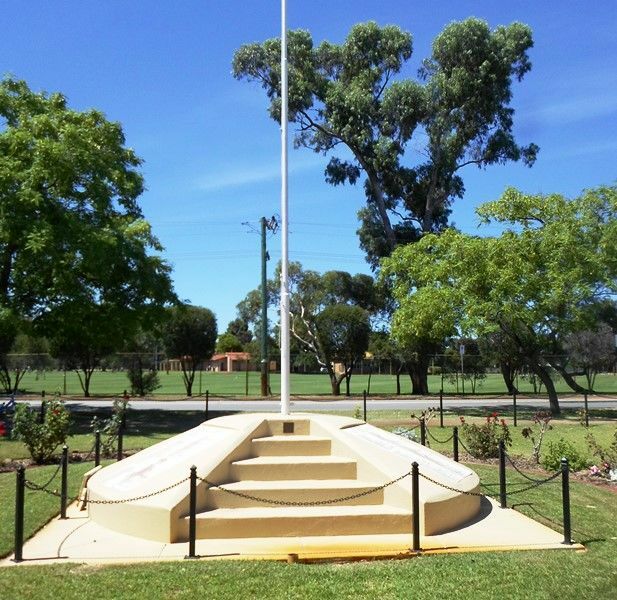 A monument commemorates those who have served in World War One. The monument has a four-sided concrete base that narrows as it rises with a flagpole emanating from the centre. 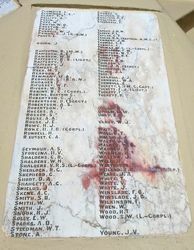 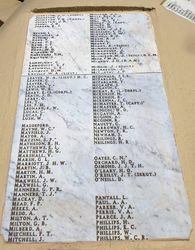 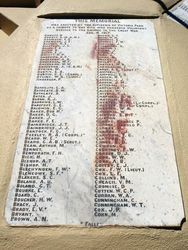 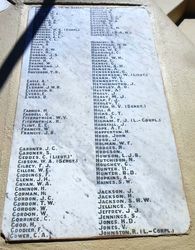 Marble slabs affixed to the sides display the names of those from Victoria Park who served in World War One.